Adams wrote Straight From The Heart’ when he was 18 years old and released it as a single six years later. 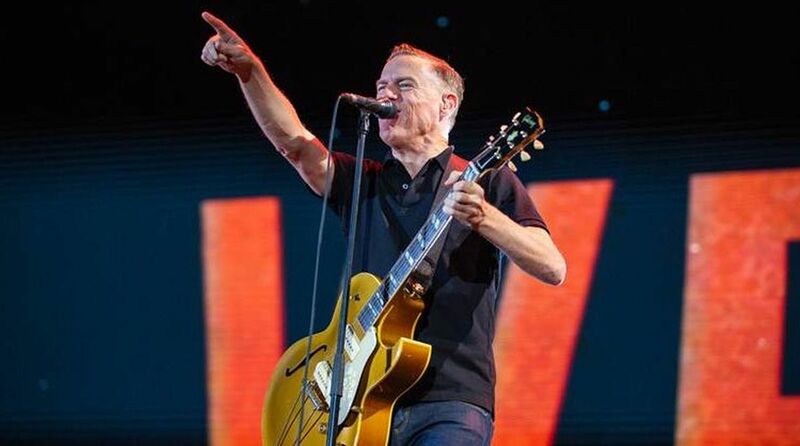 He came, he performed and left crooning and swaying fans asking for more; Canadian rock legend Bryan Adams wound up his five-city India tour with a concert in the Delhi-NCR region Sunday night. Beginning his nearly two-hour gig at the Leisure Valley Park here with the 2017 hit Ultimate Love’, which seamlessly segued into the one-two punch of Can’t Stop This Thing We Started’, he went on to belt 24 more numbers from his rich repertoire of songs before going solo on being persisted by the 15,000-strong crowd. Taking the stage after an opening act by Bollywood singer Harshdeep Kaur, Adams said, We have been coming here (to India) since 1994. It’s taken long and I’ve always asked our promoters, where is my Delhi show’? He went on to say, I have all kinds of songs for you tonight, old ones, a few new ones, I’m not sure how much time you have but we have a long show ahead! Tonight we have the biggest party in India. And indeed, what a party it was. As Adam’s song Summer of 69′ says, for every fan – young couples, teenage children to 70-somethings, Sunday was really one of the best days of my life . Dressed in a blue T-shirt and jeans, Adams lit on fire the stage which featured an oversized video wall rolling some lyrics, self-portraits and videos with his band. It was clear that the night was only going to get better as Reckless tour de force, Run To You’ followed Can’t Stop This Thing’. Go Down Rockin’ continued the brisk start until the slow evergreen ballad Heaven’. The crowd sang the first verse in unison, accompanied by only the piano. This Time’ and a Tina Turner-less It’s Only Love’ continued to show off Adams’ stellar vein of songs. The rockstar and his long-time guitarist and friend Keith Scott sauntered over from their corners and met at centre stage to bounce their riffs off one another. Songs like Cloud Number 9, When You’re Gone, Here I Am and Summer Of 69. Cuts Like A Knife, Please Stay and It’s Only Love followed. Before he crooned the rock-n-roll number You Belong To Me’, he told the crowd: Does anyone know how to dance? If somebody does an Indian dance, it will be beautiful. Or just do something silly or whatever you like. The best dancers will be put up on the screen. And the crowd went wild – twisting and twirling as if there’s no tomorrow. But there was more – the uber-hit Everything I Do’, Back To You’, Somebody’ the sensuous Have You Ever Really Loved A Woman’, The Only Thing That Looks Good On Me Is You’, the exuberant 18 Till I Die’ and Whiskey In The Jar’. As Adams and his band bade goodbye, fans wanted more. He then performed solo two songs. Before that, he recalled how he is trying to live life having lost his father and his mother now wheel-chair bound. I lost my father and my mother had a massive stroke and now she is paralysed and uses a wheelchair. I know what it is like to lose somebody, it’s not that easy. 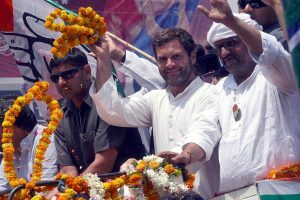 He then cited an incident when he was coming to India and noticed a man and his father in the plane. His father was quite old and I asked the man: are you taking care of your father?’ He said his father is coming to live with him now. That is the Indian way. In the last years of my father, I took care of my father too… And he (the man) said well, maybe you are little bit Indian, Adams said and sang Straight From The Heart’ amidst a sea of phone lights. He concluded the evening with All For Love’, a song from The Three Musketeers soundtrack that he originally performed with Sting and Rod Stewart. Later in the night, he took to Instagram to thank his fans. New Delhi, India, you were incredible tonight. In this photo, if you look carefully you can see my shadow silhouetted in the dust and smoke of the venue over the audience. I’ve never seen that before. Magical India. Namaste, he posted. The Ultimate Bryan Adams India Tour was organised by ENIL and Mirchi Live. It took the singer to Ahmedabad, Hyderabad, Mumbai and Bengaluru also.